Tis the season to be Merry, once again! While we count down the days to Christmas, we can’t help but to get into the holly jolly spirit. We at All Star Automotive have been partaking in the usual festivities like putting up the tree, checking gifts off our Christmas shopping lists, and draping our houses in beautiful lights and lining our walk ways with over-sized candy canes. However, we soon discovered that we were forgetting something! What about one of the most important parts of our everyday lives? Our car. We take the time to decorate our houses and some of us even decorate our pets (you know who you are), so why not let our cars join in on the Christmas spirit! 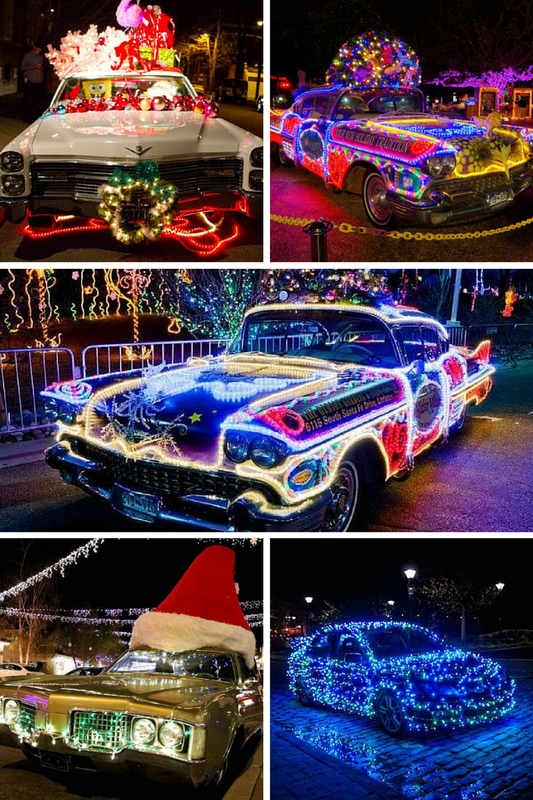 If decorating your car for Christmas sounds like a merry idea to you, below are a few pictures of Christmas Cars to give you a little inspiration. Merry Christmas and Happy Holidays! This entry was posted in Uncategorized and tagged all star automotive, Christmas, Christmas Cars, Christmas Decorations by All Star. Bookmark the permalink.